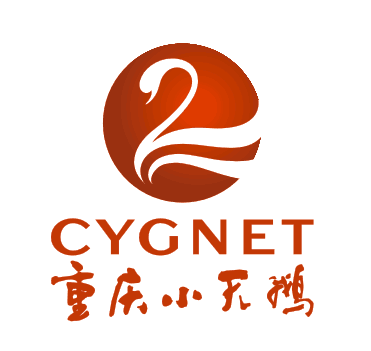 Chongqing hot pot, also known as Maodu hot pot or spicy hot pot, is a traditional Chinese way of eating. It originated from the extensive catering method of the shipyards of the Jialing River and Chaotianmen in Chongqing in the late Ming and early Qing dynasties. The raw materials are mainly cattle hairy belly and pig yellow throat. , duck intestines, cattle blood Wang and so on. Step 1: add 1 to 5 of Chongqing Green Pepper Seasoning in a bag of water (more soup is better), and increase or decrease the amount of water according to the individual taste. Hot Pot Dipping Sauce nutritional value: A reasonable combination of meat and vegetables can provide a wealth of protein, vitamins, carotene, reduce fat and cholesterol absorption, protect the gastrointestinal health. 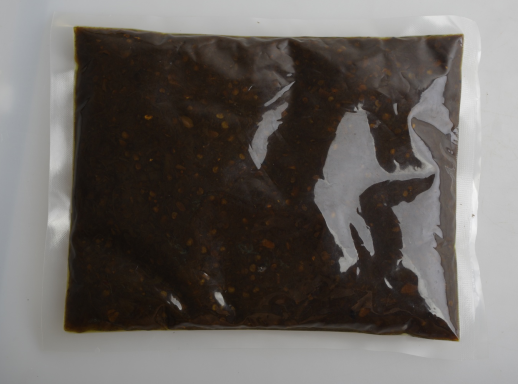 Chongqing Baifu Food Co., Ltd. production and sales of Hot Pot Sauce series: sand tea sauce seasoning, chili sauce seasoning, spicy meat sauce seasoning, fungus king sauce seasoning, XO sauce seasoning, green pepper sauce seasoning. Looking for ideal Green Pepper Seasoning Manufacturer & supplier ? We have a wide selection at great prices to help you get creative. 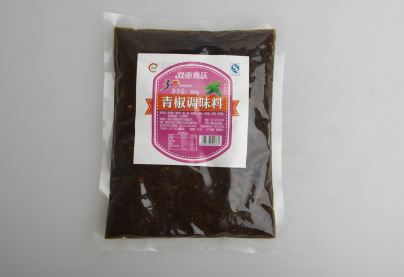 All the Chongqing Green Pepper Seasoning are quality guaranteed. We are China Origin Factory of Freshly Fragrant Green Pepper Seasoning. If you have any question, please feel free to contact us.